If you’ve noticed the trends in big business over the past few years, you’ve probably seen the massive shift in focus to green energy alternatives, as opposed to traditional electricity. Companies are taking a good look at their carbon footprint and energy usage, and deciding to make a change. Companies such as Apple, Microsoft, and Whole Foods have made the goal to eliminate their carbon footprint entirely, by purchasing entire solar farms and adopting sustainable building practices. Solar electricity continues to be a foundational piece of this movement, and you may be surprised to learn that making a big shift to solar isn’t just for the business elite. If you’ve considered looking into solar energy for your business, here are a few reasons why it might be a positive (and profitable) shift. If you’re a business owner or executive of any kind, you know how important it is to keep the costs of operation as low as possible. It doesn’t matter how much money the company is bringing in if the operational expenses are out of control. Check out this infographic from Energy Sage to see how a solar panel system can reduce your monthly electric bill, driving that bottom line down significantly. With an average of over $1,400 in monthly savings, you can easily see the massive savings that you could collect year over year. When you’re with the energy company, someone else is in control of the cost you’re paying for energy. With PG&E, the price of energy actually fluctuates all day, every day, depending on how many people are pulling from their energy reserves. It’s a simple supply and demand equation. Unfortunately, that means that you can never accurately predict what your electricity will be each month, which is a billing nightmare. These FAQs will help answer more questions about PG&E and your energy bill. With solar energy, you have the luxury of fixed monthly payments for your panels. You don’t have to worry about the price of energy skyrocketing, because you own the system that produces your energy. Plus, after you pay your system off, you get to sit on free solar energy for years. 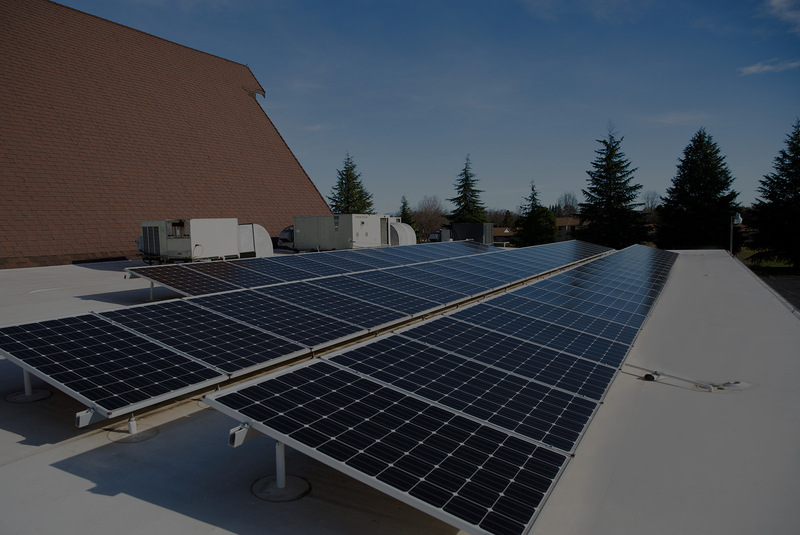 Do yourself (and your bookkeeper) a favor, and take all the guesswork out of electricity costs by moving to solar. After you give yourself a good pat on the back for making an eco-friendly business decision, you can sit back and watch your business grow as a happy side-effect. Being a solar-powered business is like a “certified organic” label on your favorite food product. Most people feel good about supporting a company with healthy and eco-friendly practices. People are much more apt to work for and buy from a company that aligns with their values, and with green energy on the rise, this is something that people are looking for more and more as a standard in business. Hopefully this helped you see that solar energy is a positive move for your business for many reasons. Plus, it’s much more approachable and affordable than you may have expected. With options like monthly payment plans and loans, tax incentives and rebates, you might be closer to a solar panel installation than you thought. Get ready to reap the endless benefits of clean energy in your business.